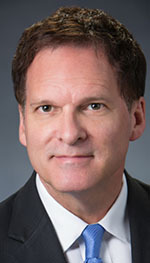 Southfield-based real estate development and investment company REDICO has appointed Kent Heckaman as vice president of development. At REDICO, Heckaman of Detroit, will be responsible for managing the development, planning, design, and construction processes for new and existing properties, as well as sourcing new development opportunities and the financial performance of commercial development projects. Prior to joining REDICO, Heckaman was the development partner and entitlement director for MGL Partners in Washington, D.C. Some of his responsibilities included overseeing the development of luxury urban multifamily, mixed-use, and senior projects. Heckaman has also worked at First Centrum in Va., The Sterling Group in Ind., and WM Grace Development Co. in Ariz.
Heckaman earned his Certified Commercial Investment Member certification in 2002. He is a member of the Urban Land Institute, Apartment and Office Building Association of Metropolitan Washington, and an associate member of the National Apartment Association. Heckaman received his bachelor’s degree in urban planning at Arizona State University and is working towards his master’s degree in real estate from Georgetown University.